The next wave of new managers has landed. Baby Boomer retirements are beginning to crescendo—19,000 a day over the next 10 years. The youngest generation needs to be ready to lead. Millennials, now in management ranks with more entering every day, are deserving of development. But, the readiness gap or “leadership gap” seems to be significant. Data gathered from more than 1,000 C-level executives in DDI’s 2018 Global Leadership Forecast identified 10 top challenges. Topping the list was developing “Next Gen” leaders along with the failure to attract and retain top talent. A white flag has been raised. In addition, more than 2,500 HR professionals told DDI that identifying and developing future talent is the most critical skill leaders will need. A recent Gallup study found that 53% surveyed left their jobs because of their direct supervisor. It sounds cliché, yet it’s reality: people leave because of their manager! Not only are first-time leaders less experienced, they also impact heavily on their team’s engagement and productivity. Leadership Training is an essential step to bolstering these emerging leaders. Here are 6 steps you can take to set your company on the right path. Where are you today? Have you taken stock of your current leaders and considered who was next in line? What skills are possessed? How well are managers leading currently? Conduct an engagement survey to uncover gaps in leadership. When was the last time managers focused on their personal growth and development or received training? It’s time for a refresher for all leaders. Celebrate those who are examples of great leadership in your organization and encourage others to follow their lead. It’s important to identify and groom your high-potentials for future leadership. Succession planning is a core activity to be considered. Invest in your high-potentials, give them opportunity to grow and to try on management for fit. Give emerging leaders what they need for self-development, performance management and team performance. Have you looked at your mission and vision? Where is your organization headed? What are key strategic areas for the organization? Then, and this is important, are your leadership initiatives aligned with the direction of the organization? Once development is in place, analyze the results of your training and development initiatives. Do you see behavior change? Has retention gone up? Absenteeism gone down? Grievances reduced? Or, are the same issues still plaguing the organization? Leadership training is meant to produce an ROI. Are your leadership development efforts doing so? Capitalize on the intellectual capital of senior management. Build a mentorship program to capture undocumented information that will be gone when boomers retire. 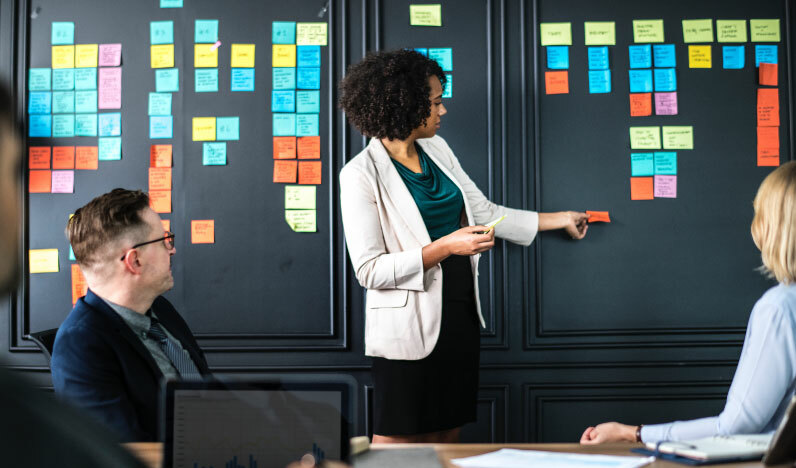 Utilize these seasoned leaders to ensure that up and coming managers can learn critical information and skills to lead the future of your organization.